The Simpsons are now almost as traditional at Halloween as bobbing for apples. In-keeping with tradition, a brand new Treehouse Of Horror special has aired in the US and for the Springfield-dwelling family’s 25th spook-tacular outing, brought the much anticipated cross-over with the Tracy Ullman show. For those not in the know, Bart, Lisa, Maggie, Home and Marge Simpson originally started life as rougher versions of the characters we all know and (mostly love) today, in a series of sketches on on an American television variety show hosted by comedienne Tracy Ullman. In a Treehouse Of Horror segment entitled The Others, The Simpsons not only come face-to-face with their former incarnations, but themselves as minions from Despicable Me – which is pretty cool. 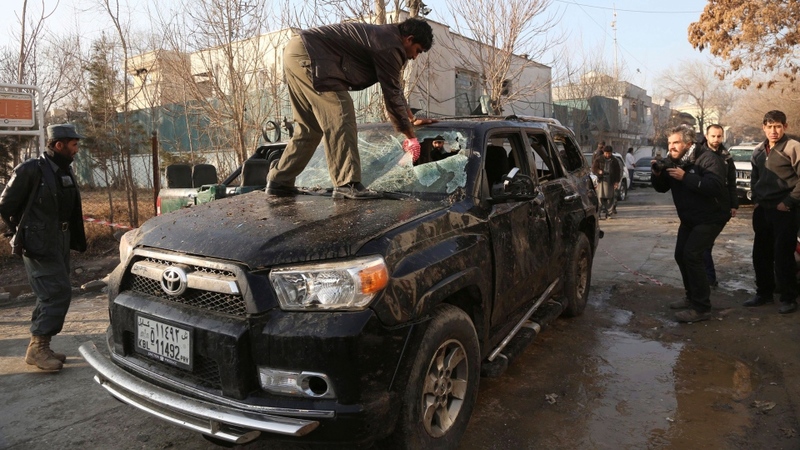 Two Canadian accountants are among the 21 victims of a suicide bombing at a restaurant popular with foreign nationals in Kabul, Afghanistan. CTV News has confirmed that the two men killed when a suicide bomber and two others with guns attacked Friday, are Martin Glazer of Gatineau, Que., and Peter McSheffrey of Ottawa, both of whom worked for the Quebec accounting firm Samson & Associates. Martin Glazer, left, and Peter McSheffrey, right, were killed in a suicide bombing in Kabul, Afghanistan on Friday, Jan. 17, 2014. Pierre Samson, of Samson & Associates, told CTV News Channel on Saturday that the two men were doing auditing work for the Canadian International Development Agency in Afghanistan. “We’ve never had problems before, but I think in this case they were in the wrong place at the wrong time, unfortunately,” Samson said, explaining that the two men were eating dinner when the attack occurred. Samson said one of the men killed in the attack had been to Afghanistan before, and both men had received training prior to the trip. “We have training from International Affairs and Consular Affairs, who say … what they should do and what they should not be doing (in a war zone),” he said. The international community is condemning the attack, which left a total of 21 dead, including 13 foreigners and eight Afghans. The deceased at the La Taverna du Liban restaurant included American, British, Lebanese, Russian, Danish and Malaysian citizens. Khanjar Wabel Abdallah of Lebanon, the head of the International Monetary Fund in Afghanistan, and three United Nations staff – Nasreen Khan, a UNICEF health specialist from Pakistan, Basra Hassan, a Somali-American working as a nutrition specialist for UNICEF, and Vadim Nazarov, a political affairs officer from Russia – were among those killed. 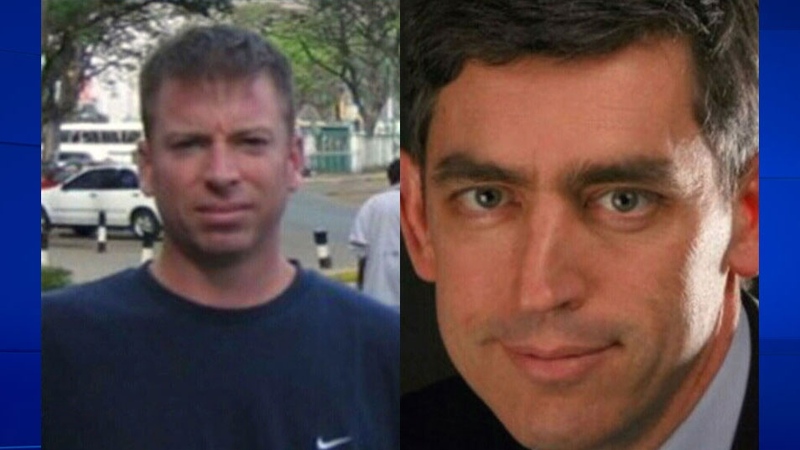 The U.S. Embassy in Kabul confirmed that three Americans were killed, including two university employees working for the American University of Afghanistan. Others identified were two British citizens – development specialist Dharmender Singh Phangura and bodyguard Simon Chase. 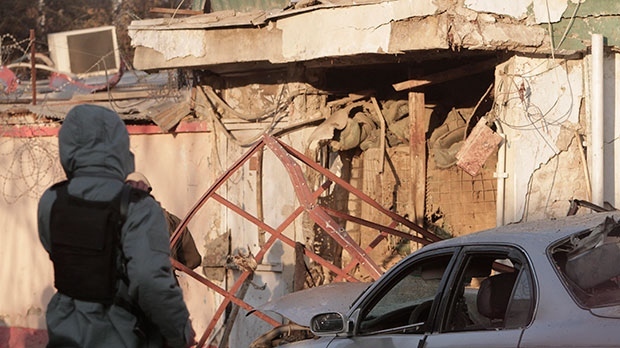 A Taliban suicide bomber had detonated an explosive at the popular Kabul restaurant that at the time was packed with wealthy Afghans and foreigners. Following the explosion, two other attackers entered and fired bullets into the crowd. Canada’s Foreign Affairs minister, the Danish Prime Minister Helle Thorning-Schmidt and UN Secretary-General Ban Ki-moon condemned the attack and demanded an end to the violence. 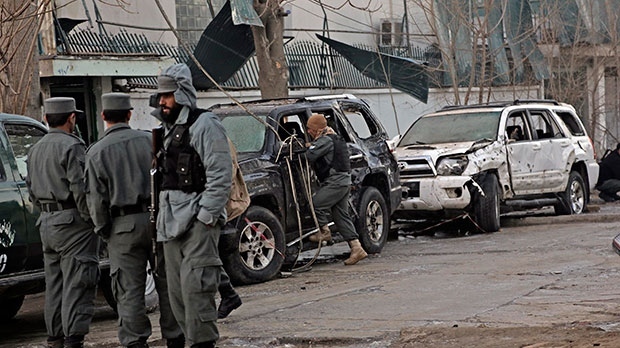 The Taliban claimed responsibility for the attack, saying it was reprisal for an Afghan military operation earlier in the week against insurgents in Parwan province, which the insurgents claimed killed many civilians.